"Mary Kay is someone I have always admired. I believe that America's greatness is due in large part to courageous people like Mary Kay who have never been afraid to stand up for what is right." "Mary Kay asked that we take our families along on this journey. She knew that if we mold ourselves into positive, inspiring role models for our families, they would have a head start on living their own journey successfully. "She has empowered women and enabled them to build a better life for themselves and their families. Mary Kay will go down in history as one of the greatest female humanitarians and visionaries of our time." "Mary Kay is an outstanding person in all areas: a hardworking, astute, self-made, warm and friendly human being who goes above and beyond the call of duty to spread the good word about life, love and hope, which is so badly needed in America today. Her own personal success is founded on an intense desire to help other people and the willingness to start early and work late to accomplish her objectives." "Our first lady, Mary Kay, dared to follow her dream to enrich the lives of others – and she blessed my life beyond belief along with countless thousands of women who have taken Mary Kay’s dream and made it their very own. She blazed the trail in the area of economic liberation for women, providing us with unlimited earning potential. "She always had a way of finding the bright side, and of learning through laughter. These are lessons I’ll never forget." "Her dedication influenced people like me and countless of thousands of others for more than 37 years. No other woman had such an impact on business. What an honor! What a legacy! And she wasn't even trying to be famous." "Mary Kay is my heroine. She cares so much for women, and she meant so much to my mother and so much to my mother's friends who changed their lives in Alabama." "Mary Kay ... had a vision to change the world for women. She had a dream, and she worked her whole life to make our dreams a reality. She wanted to build a company for women who wanted to be the best they could be, to be financially independent and to help them fulfill their dreams. "Mary Kay Ash began this Company with a dream in her heart for women to have the chance to become anything in the world that they wanted to become – to have anything in the world that they wanted to have. She wanted women to know the feeling of having a dream and gaining the confidence and skills to make that dream into a reality." "Mary Kay eloquently reminds us the only way to successfully manage all areas of our lives is to have our values and priorities in place." "Mary Kay dreamed of a company in which women would be paid what they were worth and not what the job was worth. She had an unshakable belief in us and what we are capable of doing. Her dream was so strong that we caught it and began to believe that no mountain was too high." 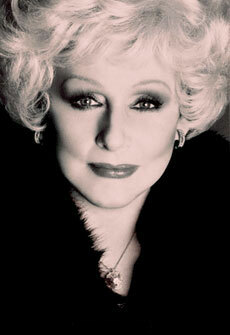 "Mary Kay Ash has set an example of how our free enterprise system works that is thrilling indeed. Her life is a glowing testimony of a person who sets goals, follows them through with determination, uses innovative methods in a creative manner, but at the same time is motivated by a genuine desire to help people achieve unusual success."